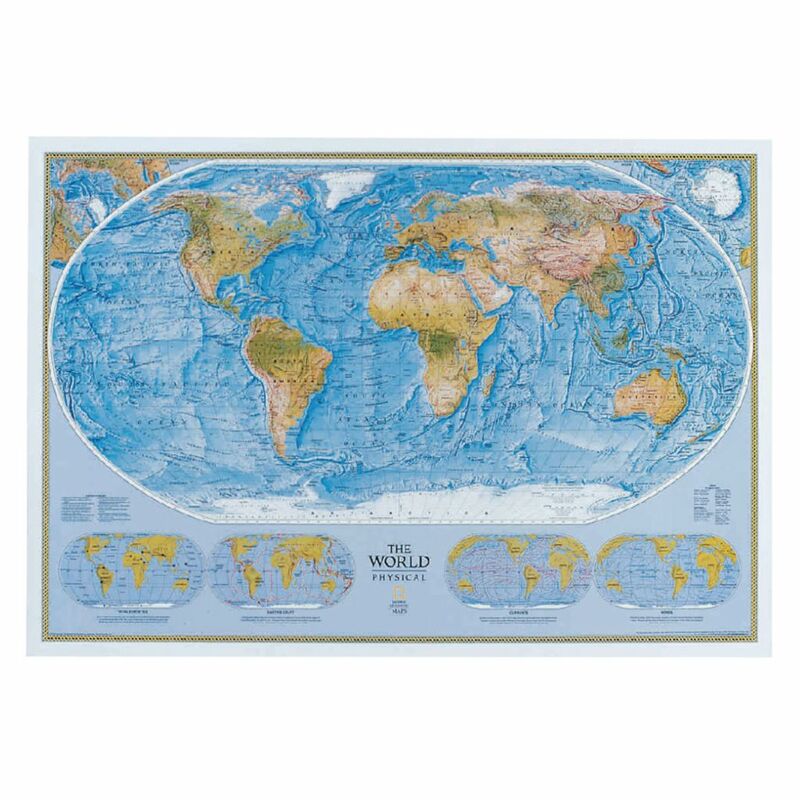 Brilliant colors and numerous labels of features illustrate both the landforms on the continents and on the ocean floor in dramatic relief. 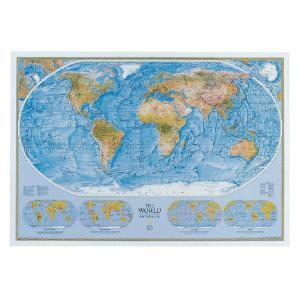 Smaller inset maps include geographical extremes such as the highest mountain and the longest river, the Earth’s crust, ocean currents, and wind patterns. From National Geographic. Size: 43 1/2" x 30 1/4".